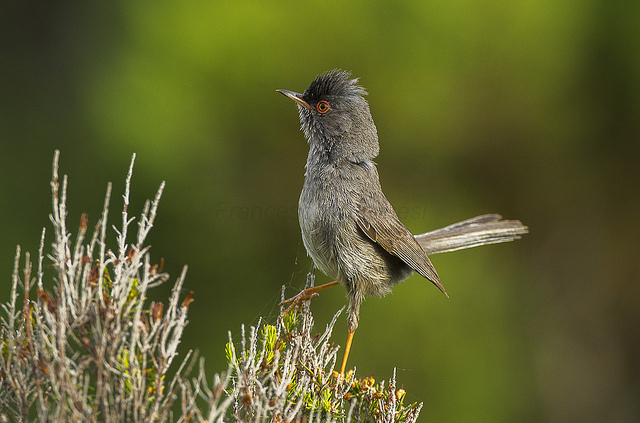 The Marmora's Warbler breeds on Corsica and Sardinia. In winter it stays in Africa. It's a dark-gray warbler, that often has its tail pointed upwards.